The Kudos Science Trust supports and celebrates outstanding science achievements in the Waikato. We strive to help regional scientists get national recognition, award prize money to help scientists pursue more research, attend international conferences and buy new equipment. We also strongly believe in recognising and rewarding top regional secondary school science students and aim to create opportunities for their scientific careers to prosper. 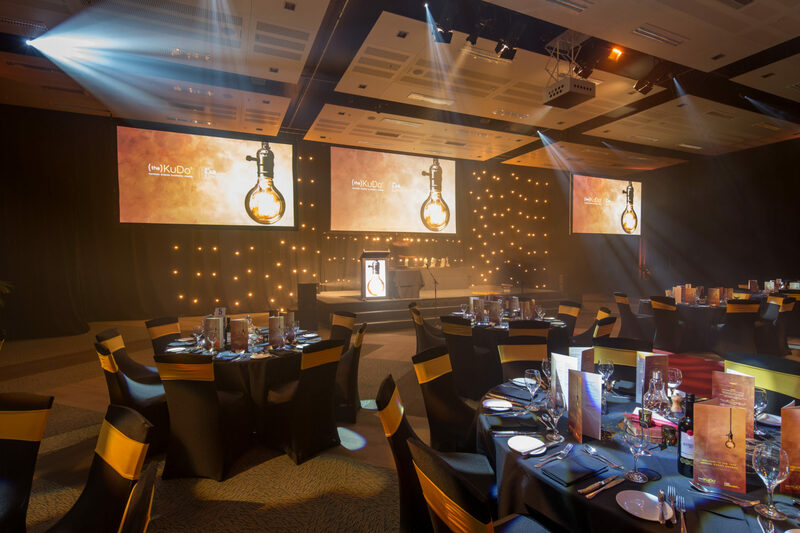 New Zealand’s premier regional science excellence Awards. 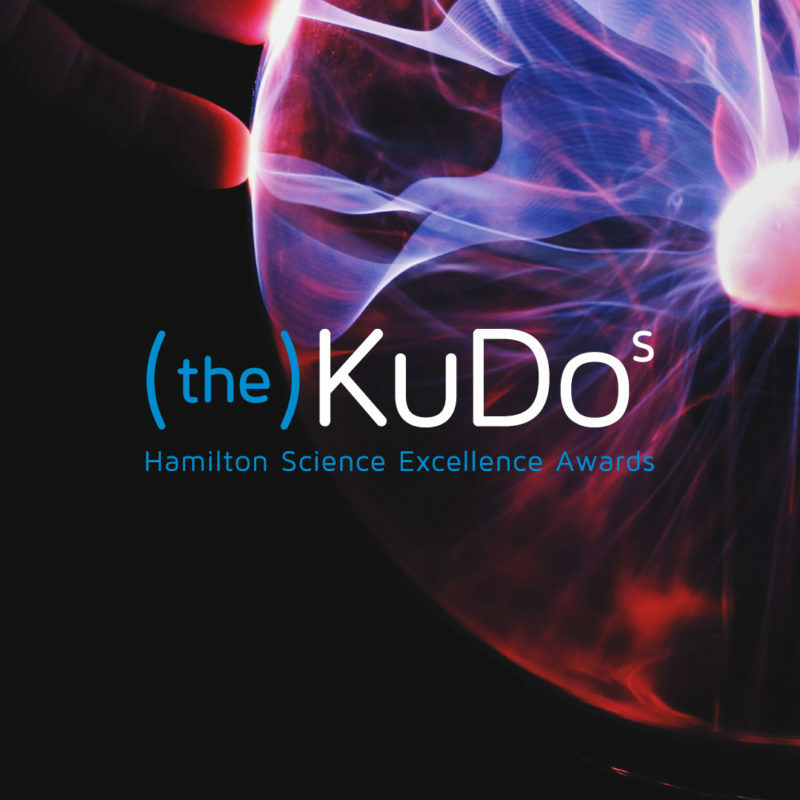 Each year, the Kudos Awards recognise top scientists from Hamilton and the Waikato region. The Kudos are New Zealand’s most prestigious regional science awards, supporting our region’s reputation as a vital incubator for creative research discoveries and cutting-edge technology. With over 1,000 PhD scientists, New Zealand’s largest research centre at Ruakura and a thriving Innovation Park, Waikato contributes up to 20% of our national science, research and innovation ouput. Our science outreach programme for Year 9 & 10 students in low decile Waikato schools. Science Spinners Creative Lab is run in November each year and aims to make science relevant to everyday life and expands students’ knowledge of science-based careers. 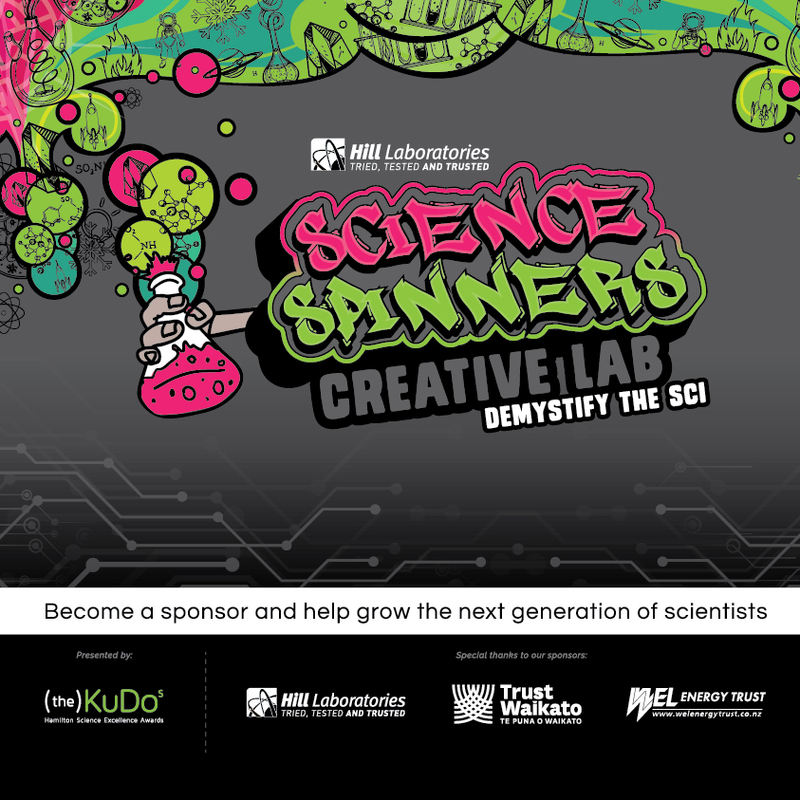 Science Spinners is run with the support of Kudos Award-winning scientists, who present fun, interactive and creative activities in the Medical, Food Technology, Environmental, Digital Tech and Sport Science fields. All that we do is possible because of our fantastic sponsors. Whether it’s financial support, marketing aid or scientific time. If you’re interested in supporting our projects we’d love to hear from you!